Tecnologies improving offer new possibility for photofinishing. For example, it is not a surprize now for anybody to get high-quality picture for a second by photo-kiosk. Though several years ago it was only concept. Here we will collect materials about new trends in photofinishing industry, such as printing on ceramic tile etc. 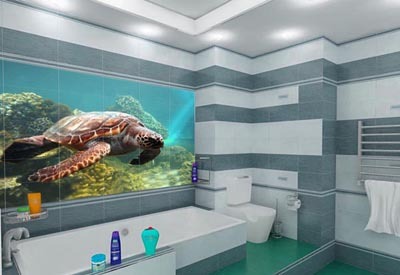 Printing pictures on tile is not an easy task, because requirements to production has to accord stringent requirements, same as for tile: resistance to water, chlorine, household chemicals and mechanical impacts. Image put on the tiles, must be steady against significant temperature difference and not to fade from sunlight. Photobook is a new concept album, in fact - a beautiful and high quality book with your photos . In a technical sense, the photobook is printed photo album with book cover. Photo books are needed when you have beautiful pictures, but you do not want to put them in the long outdated boring album with plastic pockets.